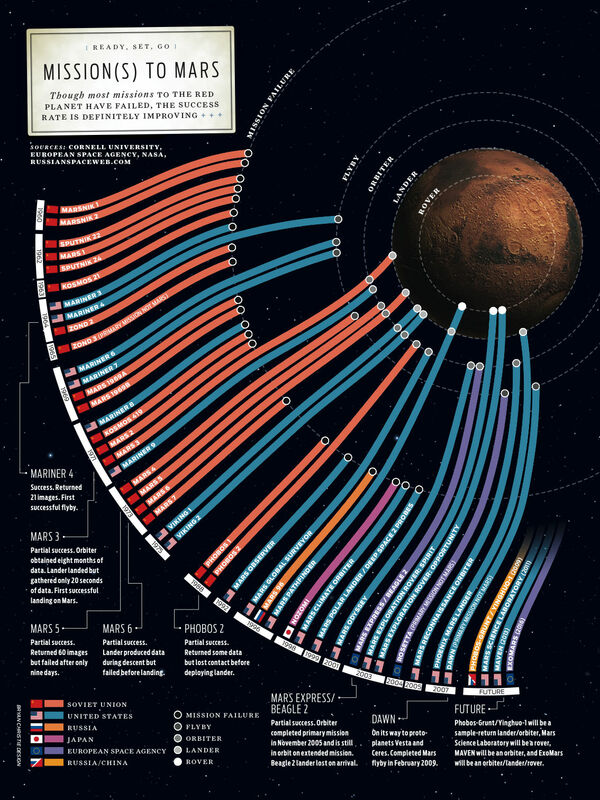 A nifty infographic on all the missions ever sent to Mars from Earth. Note the long string of failures in the early years (punctuated by some of the later mariner flybys) compared to our more recent string of successes. We're getting better at this kind of thing! Published on October 24, 2009 at 10:57AM.